Contemporary theatre presented in an intimate West End theatre. The Duchess Theatre is a theatre in London's West End. The theatre opened on 25th November, 1929 and is one of the smallest ''proscenium arched'' West End theatres. It has 479 seats on two levels. Notable productions at The Duchess Theatre include Noel Coward's Blithe Spirit, which transferred from the Piccadilly Theatre to the St. James Theatre before moving to the Duchess Theatre where it completed a record run of 1,997 performances in 1942. Tom Eyen's The Dirtiest Show in Town, which ran for just under 800 performances in the 1970s. Oh! Calcutta! transferred to The Duchess Theatre from the Royalty Theatre in December 1974, and remained there until 1980. The Players Theatre Company presented their Late Joys Victorian Music Hall programme between 1987 and 1990 Marc Camoletti's Don't Dress For Dinner, which transferred to the Duchess from the Apollo Theatre in October 1992 and stayed until 1st March, 1997. The Royal Shakespeare Company's The Herbal Bed by Peter Whelan ran for six months from April to October 1997. 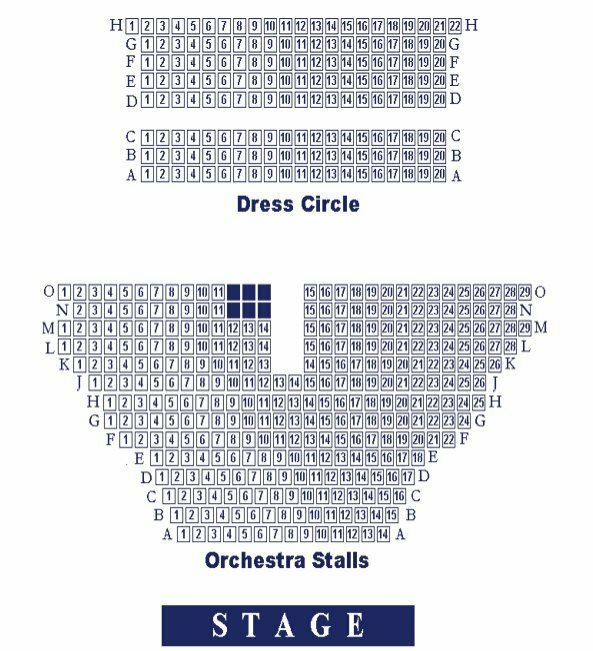 The Duchess Theatre has a capacity of 494 over 2 levels: Stalls and Dress Circle.